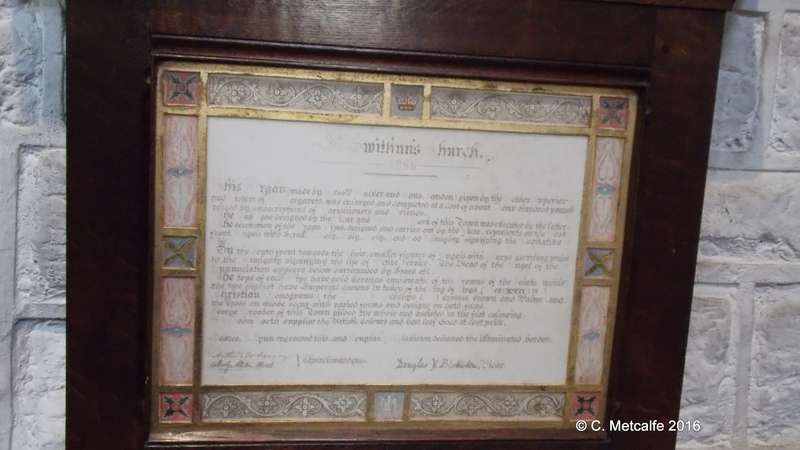 On February 27th, 1908, there was a great fire at St Swithun’s Vicarage. 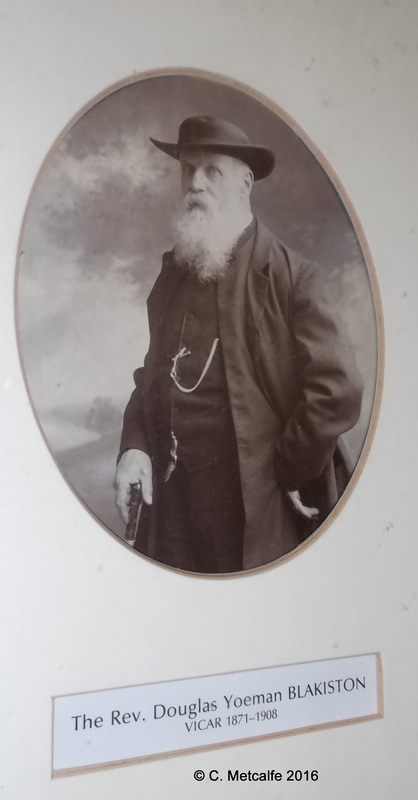 The Vicar at the time was the Rev’d Douglas Yeoman Blakiston. He was Vicar here from 1871 until 1908, the year of the Vicarage fire. He trained as an artist, but then became a clergyman. He and his wife, Sophia, had four sons and two daughters. Three of the sons died in tragic circumstances, whilst relatively young. 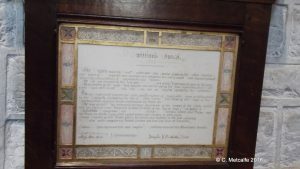 Charles was killed in shooting accident; William fell under a train and John was a telegraph clerk among those killed while defending Mazowe, Zimbabwe- formerly Rhodesia, in 1896, during the Second Matabele War. 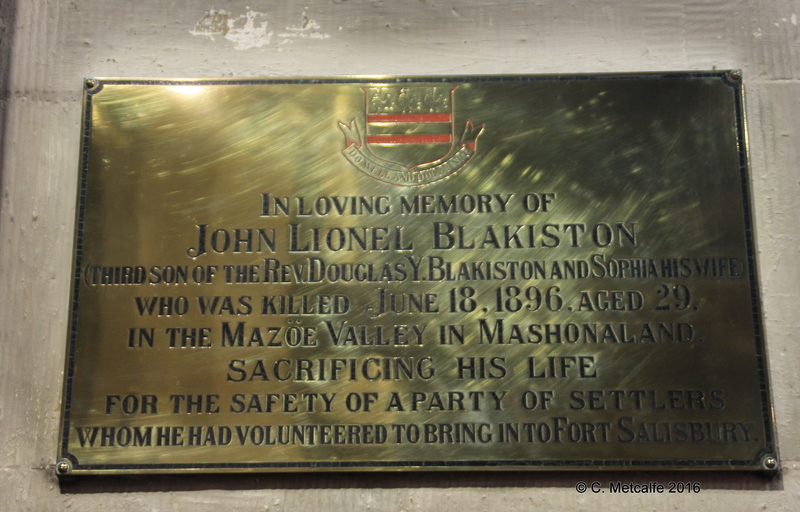 Sophia and their 2 daughters had died by 1914, when Douglas Blakiston died. Herbert Blakiston lived until 1942. During Blakiston’s time, a new organ was installed in the east end of the north aisle between 1883 and 1888. Blakiston undertook decoration of the pipes on the south and west fronts, which could be seen. He used gold leaf and artist’s colours. This is now the Chapel of the Nativity, and the organ which replaced this in the 1930s has its pipes up in the gallery. The Chapel of the Nativity was created in the 1930s where the old organ used to be and where the console of the present organ is. 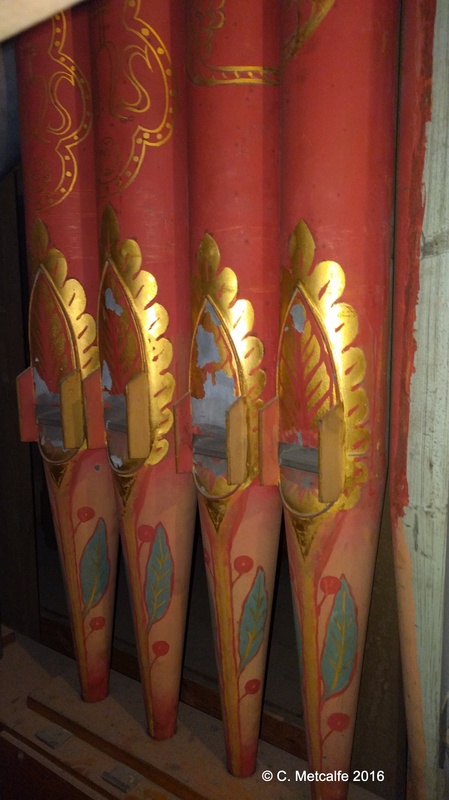 Some of the pipes painted by Blakiston were kept. 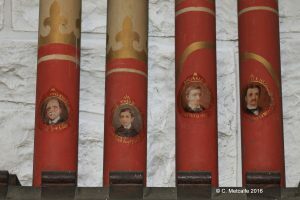 Four pipes on the wall in the Chapel of the Nativity have portraits painted by Blakiston. The faces represent: Blakiston’s son, Charles, who died in a shooting accident; Richard Buckley, who apparently died aged 17½; and parishioners William Heasman and William Wilkinson. The pretty panel underneath these pipes was painted and written by Blakiston. 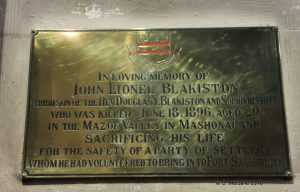 There is a brass monument to Blakiston’s son, John, killed in 1896 in Matebeleland. 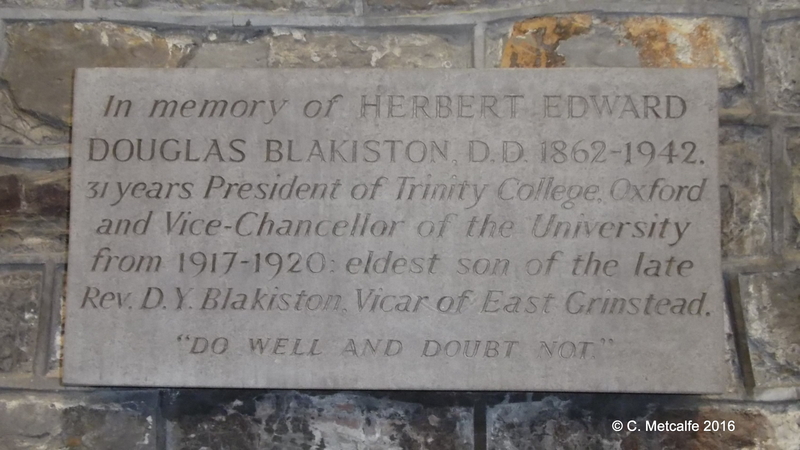 A wall tablet on the north wall commemorates Herbert Blakiston. The font cover was given by parishioners in memory of Blakiston, in 1928 and has the heraldic shield of Blakiston. 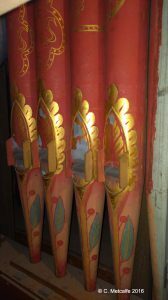 There are more decorated organ pipes up in the gallery. These are generally only seen by the organ tuners. 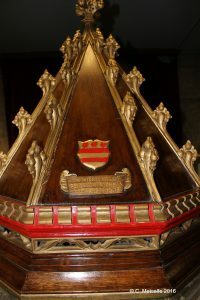 This reminds me of the medieval church tradition of having examples of skilled craftsmanship high up, hidden from view, but where God could see the work. Thank you to the Parish Administrator for telling us about the pipes in the gallery and allowing us to see and photograph them.